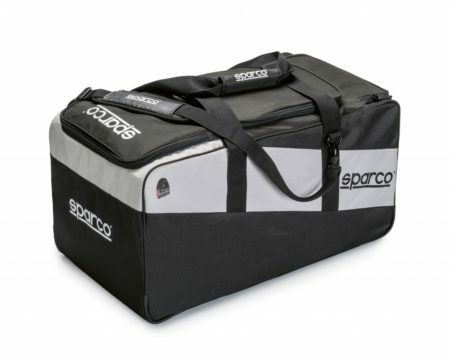 Large Sparco functional travel bag with a robust design. Large main compartment with large outer pockets. Removable shoulder strap.